Many signs are attracted to the Pisces, especially for their great compassion and creativity. They can be quite charming, so it is tough to resist their personalities and sensitive and caring attitude. If you’re wondering how to get a Pisces man to fall in love with you, you are likely not alone. With their keen sense of romance and their understanding of emotions, they can prove to be a rare catch indeed for many women. Pisces take a great interest in all things art, music, and creative. If you are creative in some aspect of your life, it is likely this will appeal to him. If you aren’t creative naturally, you may want to consider taking some classes or just being very supportive of his creative talents. For example, if he is a musician, you can show up to his shows. Pisces men love to talk about dreams or the deeper aspect of everyday things. While it seems like he may have his head in the clouds, when you engage him in a stimulating conversation, it may bring him back to Earth long enough to take an interest in you. Don’t just settle for the usual routines of dinner and a movie – go out and try and explore new things. Go roller skating, hike in a park, try a new cafe in town. They are constantly peaked by new and different things, so it is important to keep the beginning of the relationship interesting and have some peaks of excitement to make it a lasting relationship. Pisces can easily fall into deeper and darker negative emotional spells. So if you are positive, it will help him stay positive instead of getting caught up on the negative side of things. Pisces men are mysterious themselves, and seem to be attracted to others who seem mysterious as well. While we don’t advocate hiding things or playing games in relationships, don’t be afraid to plan a surprise or to give an elusive answer to mundane questions, as this will spark their interest. 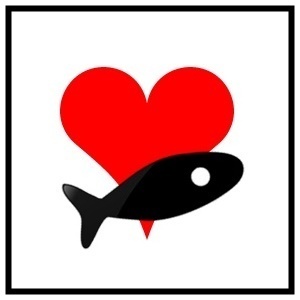 Pisces love romance, and so traditional romance can help go very far in developing a strong bond with a Pisces male. Offer to take walks in the rain or along the beach, or go on a carriage ride. Don’t be afraid to do romantic things like writing cute little notes and sticking them to his car – the Pisces man will enjoy these small types of gestures. Pisces men can commit, but because their interests change too quickly and they are usually aware of this, they may not want to rush into long term committed relationships right away. However, once he has fallen in love with you, it will likely last a very long time, if not for forever. Pisces men are in tune with their emotions and spirituality. If you can connect spiritually or on a deeper level, it is likely that you will form a very deep bond that can withstand the test of time. Because Pisces are constantly searching for balance in life, it is important that he gets his own personal space when needed. Allow him to pursue his own interests and hobbies. Do you have any tips on how to get a Pisces man to fall in love with you? Share them in the comments below.